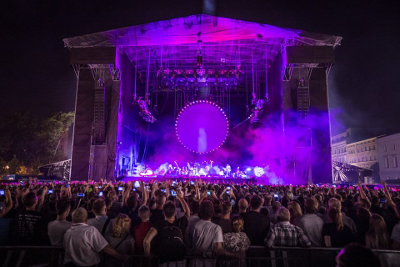 This entry was posted in David Gilmour, Rattle That Lock Tour, Soundboard by Doc. Bookmark the permalink. Thank you so much for your effort over the years. MUCH appreciated! Hi Tomasz! Thank you for the kind words and for the correction. I got those spellings from a Polish website. Anyway… all corrected! Thanks for all your work, doc! This one sounded like David may have been suffering a cold or something, though, since his voice was a bit off, especially towards the end. This reminds of the shows I saw on the tour, I had almost forgot how great it was. Also, this was the tour that brought me to finally meet you, a treat in itself. Thanks for the shot, Doc! Great stuff thanks many thanks for getting this out I did notice after Coming Back to Life you missed adding On an Island which is the next track. It was a nice surprise ! Have a great night best wishes from Canada! Thanks Doc! Looking forward to this one. As always, you rock! Looking forward to this one. Really enjoyed this tour, hard to believe this show was almost 2 years ago already.